ASH Lock & Secure are specialists in Commercial & Domestic CCTV systems. Protecting your property has never been more important and with this in mind ASH Lock & Secure an NSI Systems Silver Approved Installer, provide a wide range of CCTV camera systems to suit both our commercial and domestic customers. We install HD-TVI, IP and Analogue Systems. Whether you require came ras to pan tilt zoom (PTZ), high resolution facial recognition cameras in doorways, car number plate recognition cameras (ANPR) or a combination of any of these we can create a CCTV system that meets your needs. Viewing options include locally on flat screen monitors, on your TV, over your existing network (LAN) or even remotely over the internet giving real time CCTV video images 24 hours a day from anywhere in the world. 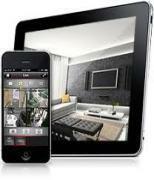 With strategically placed CCTV systems, you get clear visibility for each part of the property you want covered. There are also wireless CCTV camera systems that are put to use intelligently by our experts to assist in added protection. We can deliver you a complete CCTV systems package at an unbeatable price. With all our equipment and workmanship being fully guaranteed, we are sure that our CCTV packages offer the best value for your money with no compromise on picture quality. Whether it is covert surveillance equipment, which offer you a discreet level of security, or it’s highly visible commercial grade surveillance cameras which will incorporate infra red and high resolution lenses offering the best pictures when needed we can offer a solution to meet your requirements. For more information or to book a free survey please contact us now on 01442 872586 or 0800 9178975.